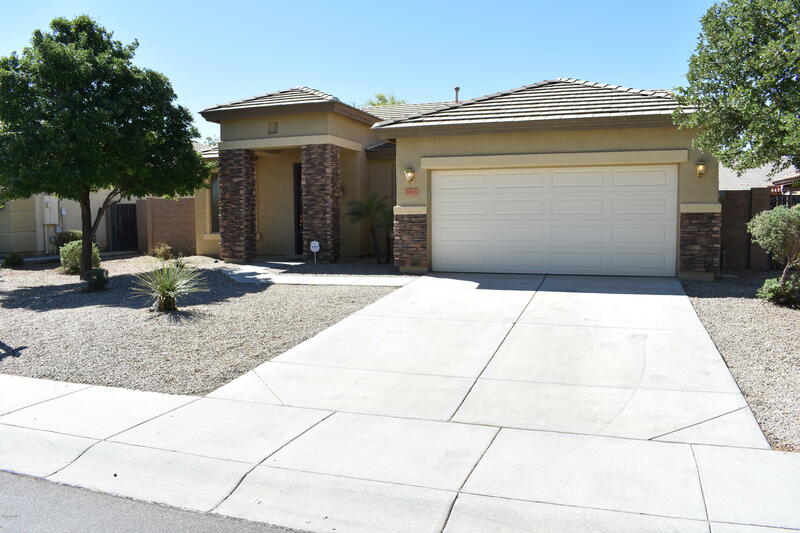 All COUNTRY SHADOWS homes currently listed for sale in Gilbert as of 04/22/2019 are shown below. You can change the search criteria at any time by pressing the 'Change Search' button below. "Chandler award winning schools with a Gilbert address. Don't miss your opportunity to raise your growing family in this dramatic and elegant home. Amazing entertaining space with gourmet kitchen and butler's pantry. Stunning pool in your backyard oasis. Across the street from a neighborhood park. This meticulously kept home boasts a brand new water heater, new chain driven garage door opener and new pool pump, and newer air conditioners. Raised counter tops in all bathrooms save you back "
"Almost 4,000 sqft in the heart of Gilbert!Your next home will be minutes away from Gilbert's Regional Park that is coming soon! Parks,lakes,splash pads,trails and community center! This home and community has it all! 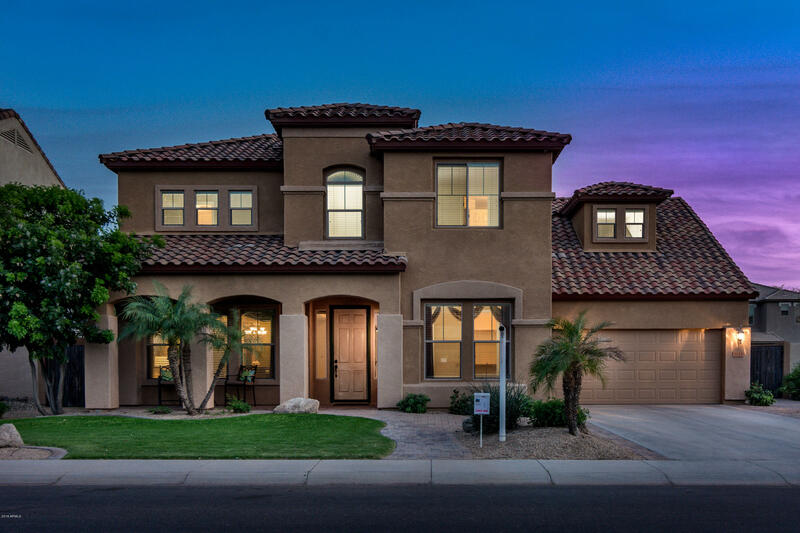 Luxury living in Gilbert,Arizona at its finest! You will see many custom upgrades in this home such as shutters,iron stair case,granite counter tops, gourmet kitchen with built in oven/cooktop,walk in pantry,engineered wood floors,large diagnal tile,3 car garage, pebble tec pool,lar"
"Original Owner of this beautiful home in sought-after Gilbert's Country Shadows community**Coffered ceilings at foyer & Master Bedroom. Architectural touches rounded walls & doorways. Granite counters, oak cabinetry, Kitchen island with glass backsplash. French doors to patio from dining room area. 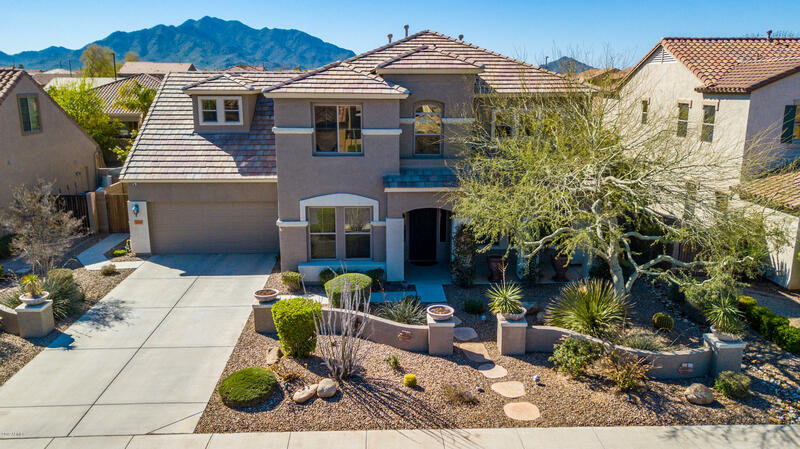 10' ceilings, central vacuum system, gas BBQ; Plantation shutters in all bedrooms, Energy-efficient cellular shades in living area, gated courtyard, 12-14 Pebble Tec pool w/cool deck. Upgraded plank c"
"Find your pot of Gold when you see this home on Andre! Pack your bags this one is move in ready. Spacious and Open floor plan with 2 MASTER BEDROOMS, 5 total Bedrooms and 4 FULL bathrooms, Family Rm, Living room, Loft and Tech Rm. 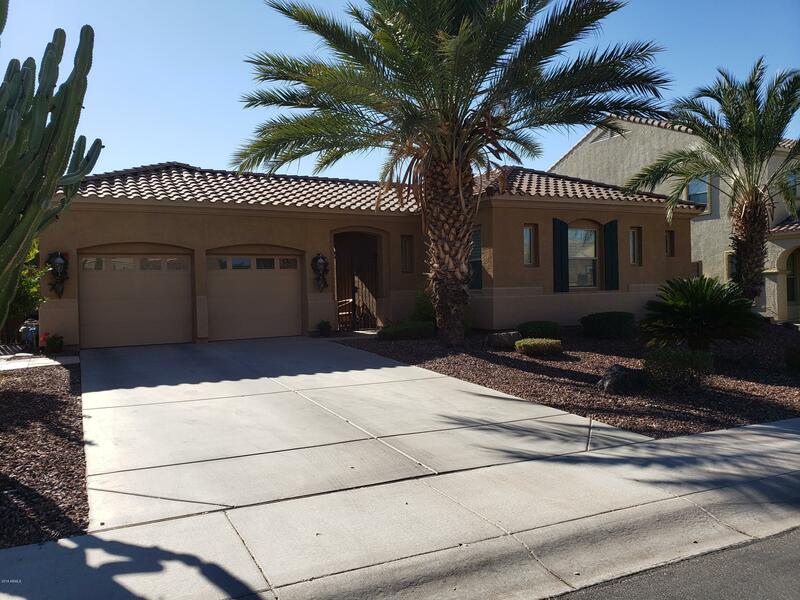 Beautiful upgrades throughout include faux wood blinds, 2 tone paint, upgraded fixtures and ceiling fans, Granite counter tops in kitchen and all bathrooms, Back splash, Premium Stainless Steel appliances, all NEW Landscaping......too much to list!! Today is your luc"
"Beautiful turn-key home offers 6BR/2.5BA. 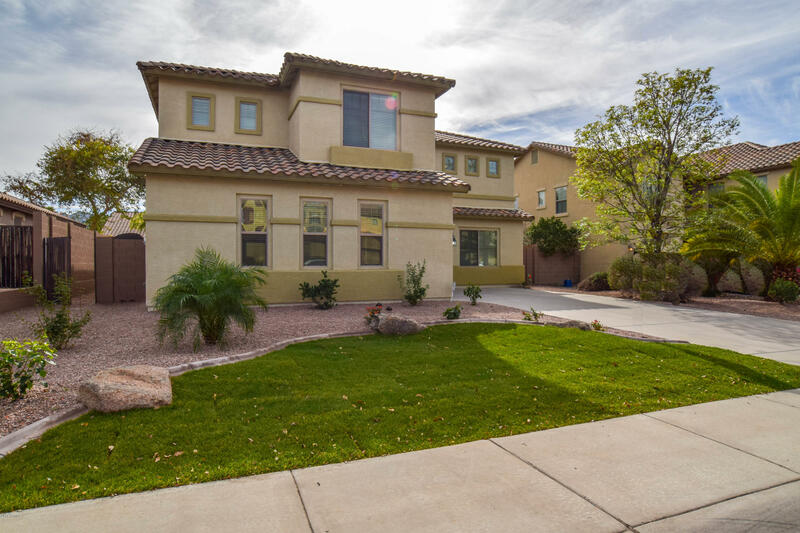 Enter into 3,266 SF w/ soaring ceilings and carpet & tile throughout. Formal dining room and eat-in kitchen feat. Corian countertops, center island, breakfast bar & TONS of storage. Getaway to the master suite w/ dual sinks, walk-in closet & separate shower/tub. Entertain in the enclosed loft or spacious backyard w/ covered patio. Superior location! 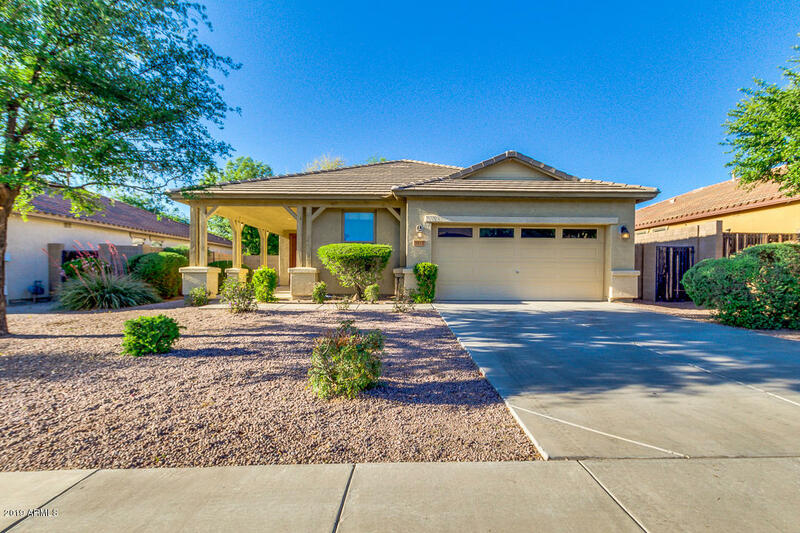 15 min to San Tan Village and Trilogy Golf Club & Lone Tree Golf Club. Only 40 min to PHX Sky Harbor Airpo"
"Great South Gilbert Location in Country Shadows across from the Grassy Park Area, North/South Exposure, 3 Bedroom Plus an Office/Den, 2 Bath, 2 Car Garage, Beautiful Stone Accents with Great Curb Appeal, Kitchen has Upgraded Cabinets, Corian Counters, Stainless Appliances & Pantry Area, Large kitchen island w/ breakfast bar seating, Split Bedroom Floorplan, Master Bedroom w/ Large Walk-In Closet, Separate Tub & Shower,Double Sinks, Office/Den Area could be a 4th Bedroom, Oversized Backyard wit"
"Welcome home to this 3 bedroom, plus den, 2 bathroom Gilbert home located in Country Shadows. This home has a great open floor plan, new carpets and fresh paint, Tile floors, and a open and large kitchen with an island. Very well laid out split floor plan and inside laundry. 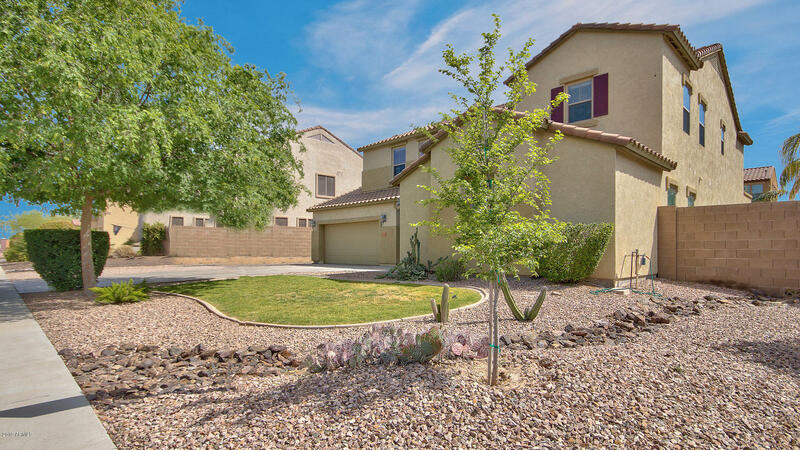 You will love everything about this home, it's amazing Gilbert location, and the homes closeness to shopping, parks, entertainment, and more."